I want to turn my backyard into a calming retreat, a personal oasis. 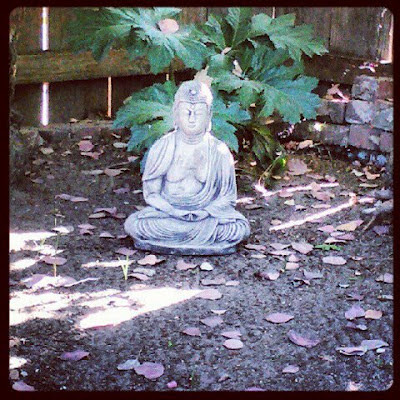 I bought a Buddha statue last week and hope to add some cat safe herbs and flowers to the yard soon. I want it to smell like natural incense! I think that's an awesome idea :) We just have a balcony, but I want to do the same thing. Someplace to go sit of an evening and drink my tea. Our backyard is our oasis. It's so nice to have someplace outside like that to relax. Love the statue! I'm trying to convert our new garden to an oasis too, long way to go. I love the focus of yours.